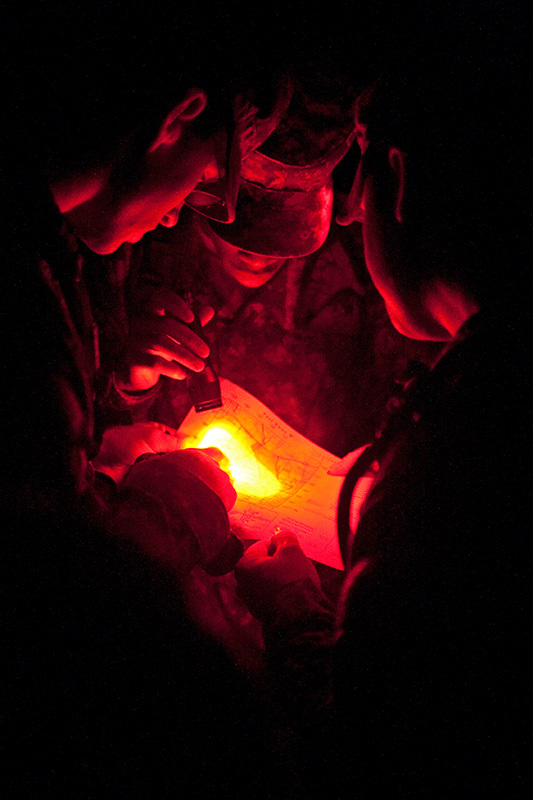 With only the aid of a map and a dim flashlight, Cadets Travis Williams (left), Marquarius Moore (center) and Ian Clark (right) try to determine their location on Sept. 26, 2008. In the night land navigation course, the teams have three hours to find three different points. This event was the first event of a three-day long training session at Fort Knox, Ky.